leave kids out of it. i don't care about your shïtty achievements. leave 10 year olds out of this you sick fück. i will never have peace with you because instead of calling yourself a piece of shït you try to say you still did good with it and for that i hate you. you are absolute garbage for what you did and you finding a silver lining is gross. you helped people through lies that's sick! bye. simple. Risk vs. Reward, or Hurt vs. Help. Help: Several victims of very bad and traumatic situations. You get to decide any day now. 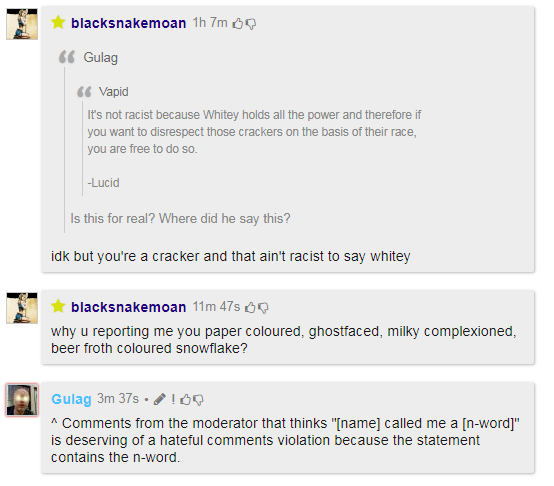 Are the mods still racist? lol is that you yoyo200900? nahhh it's not him, it's someone else. Was watching Question Time and Diane Abbott said "... calling people p*kis and nigg*rs..." without censoring herself. So she's racist too right? It's the same neutral context that I used it in. I'm just going to assume that causing the caps filter was enough retribution for this deserved violation.